Cavalier King Charles Spaniels are most recognizable by their soft fur with feathering on their body. They come in four color varieties, Blenheim, Tricolor, Black and Tan, and Ruby. These dogs love people making them great family dogs and are especially great with children. They love playing fetch and learning new tricks, even participating in dog sports. But they also enjoy relaxing with the family and enjoying some quiet time. When introduced at an early age Cavaliers get along great with other dogs and other pets. The Cavalier King Charles Spaniel begin to gain popularity during the Renaissance era. It was the favored breed of choice of King Charles I and his son Charles II. During the 1700s they became popular hunting dogs due to being able to keep with the pace of a trotting horse. They maintained their popularity among the British aristocrats into the 1800’s. 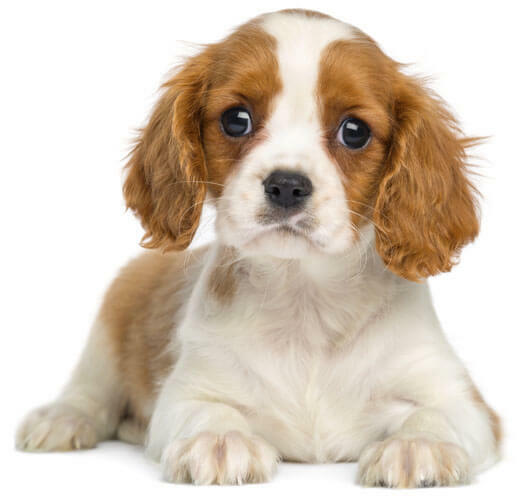 If the Cavalier King Charles Spaniel is your breed of choice, then you will have an intelligent loving companion who loves to be a part of your family, meeting new people, and having some quality play time.